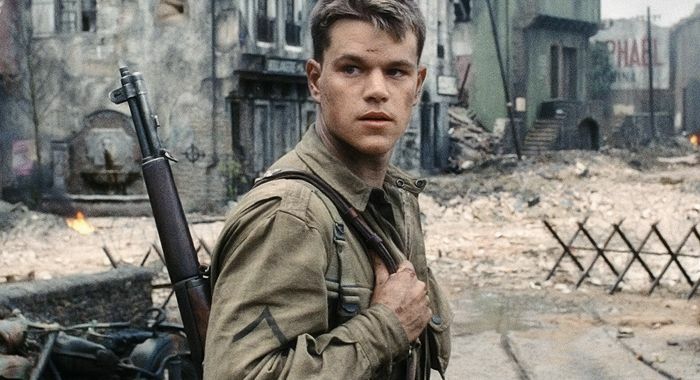 In 2015, a Quora user posed this question: How much would it take to save Matt Damon in movies? A whopping $900 BILLION apparently. Hence, it would seem that Matt Damon has made it a habit of needing to be rescued in his movies. This post will examine what other patterns keep showing up in his movie projects. In The Talented Mr Ripley, Matt Damon plays a sociopath who cons his way into people’s lives. While he is able to charm them initially, his controlling and obsessive ways eventually begin to grate on them. When pushed to the edge, he reacts through murder. He is a man seemingly always seeking connection but never able to find one. 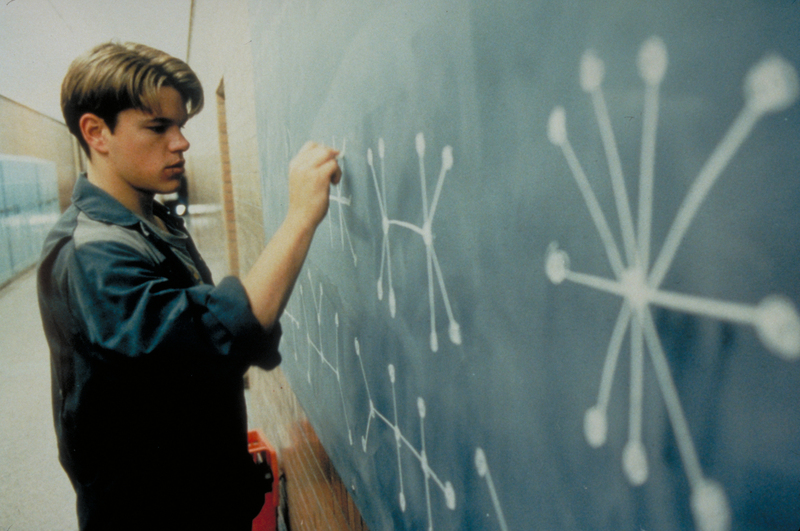 We see the same outsider pattern in Good Will Hunting, where he is a math genius who doesn’t really fit in with the world of academia, who has a circle of friends but doesn’t completely connect with them because of his mind. And of course, Jason Bourne is the epitome of an outsider, constantly on the run, not sure who he can trust and rely on. In the movie School Ties he initially comes off as a good guy, but then becomes a real idiot when the girl who was never really his starts dating his much cooler friend. Not only does he highlight to everyone that his friend is Jewish, in a time where anti-semitism was quite prevalent, he also cheats on a test and doesn’t own up to it. He plays pretty much the same character in The Departed, working for the FBI yet secretly part of the Irish gang. He does relish playing these two-faced characters, so when I was watching Interstellar, and I discover he is the astronaut at the planet they land on, I knew immediately he was going to double cross them. It is practically an expectation at this point. The common perception of The Adjustment Bureau is that it’s a romance disguised as a thriller. But who cares? I love it. I like the idea that there is a greater purpose behind our existence, but also that it isn’t entirely a predestination set up; we still have free will and autonomy. The bureau determines that Damon and Emily Blunt’s characters are only good to each other in small doses, and he discovers this behind-the-scenes manipulations, leading to the both of them literally fleeing from all these men in suits trying to break them apart. He makes the leap. He decides that love is worth chasing more than his political aspirations. At the end of Good Will Hunting, he has to “go see about a girl”, putting aside his insecurities and his loner status, taking a leap of faith on love. Math genius in Good Will Hunting, super spy in The Bourne Franchise, has some intense arrow shooting skills in The Great Wall, possesses a talent for impersonation in The Talented Mr Ripley as well as being a competent piano player … is no skill safe from Damon’s fictional universe? It is maybe only in School Ties where he gets the short end of the stick. He isn’t that great at football and he has to resort to cheating for a test. Well, we can’t win them all I guess. It seems that of late, Matt Damon seems to be making a habit of inserting himself into the superhero universe. 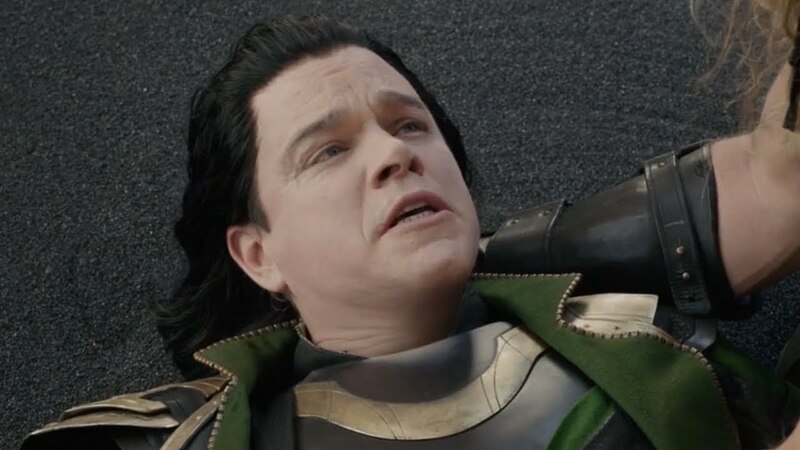 He played the actor acting as Loki in a rather exaggerated skit of Loki’s death in Thor: Ragnarok. Recently, he was one of the rednecks in the second Deadpool movie, which had a host of cameos. I managed to identify Brad Pitt even though his face was there for a split second, but only knew it was Matt Damon while reading up on the movie after. I guess everyone wants to be a part of the Marvel universe in some way. For some reason, Matt Damon’s movies always involve a large group of men in pursuit of something. In Saving Private Ryan, Tom Hanks and crew’s sole purpose was getting him back alive for his mother. 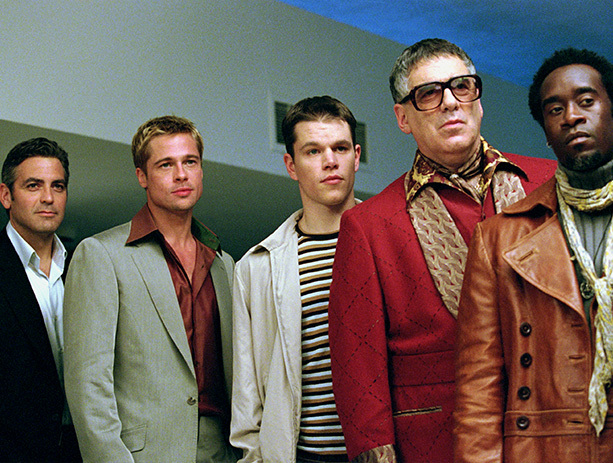 For The Ocean‘s Series, it is the heist and the pay-off at the end. 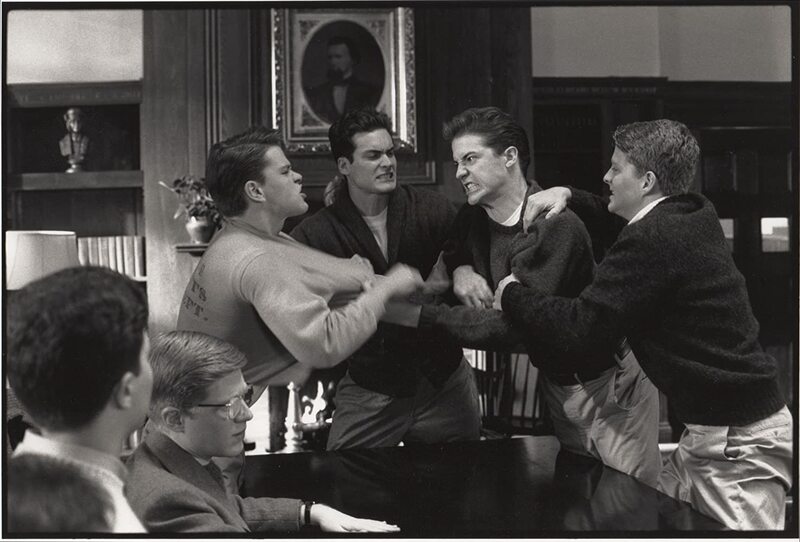 Playing the mole for an Irish gang in The Departed, part of a rugby team in Invictus … I think I have proven my point. Matt Damon is able to communicate a likeability to any character that he plays. He shows up briefly at the end of Saving Private Ryan, which involved so much loss experienced along the way, but I was happy that they found him, that he’s okay. He made Ryan likeable and worth saving, in such a short span of time. I like that the movie projects he undertakes have a variety to it. He did become more of an action star after The Bourne Franchise, but has movies like We Bought A Zoo and Invictus under his belt, both movies holding a bittersweet sentiment in its creation. 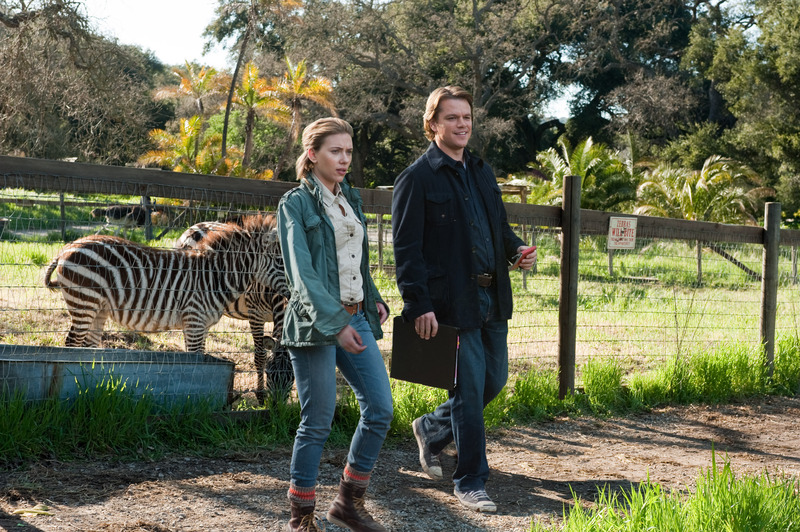 We Bought A Zoo explores grief and the rebuilding after a loss. Invictus is about rebuilding as well, looking at how rugby became a way to heal the country after apartheid. Damon is convincing as the team captain who holds the team together and leads them to victory despite the immense odds; the new Zealand team they were facing was undefeated going into that final match. He shares the spotlight comfortably with Morgan Freeman, who is the only man in Hollywood capable enough to take on the legend that is Nelson Mandela. To sum up, what can we expect from a Matt Damon movie? The sky’s the limit; Action, Drama, Comedy … the man can do it all; he just might need saving. Thanks for reading! Do you have any expectations you would add to the list? Comment down below! Previous story In the Age of #MeToo How Should We Interpret Aggressive On-Screen Romance? You missed the most expensive rescue of all…The Martian. It was a global effort!